Scope: Included reviewing all documentation, developing logic diagrams, Operating Manuals, Functional Testing Plans and Procedures, checking ControlLogix/Factory Talk PLC/HMI programming and making corrections, and the start-up and commissioning of all steam cycle equipment: 3 HRSG’s, 1 Steam Turbine Generator, 2 low pressure boilers and all supporting systems. 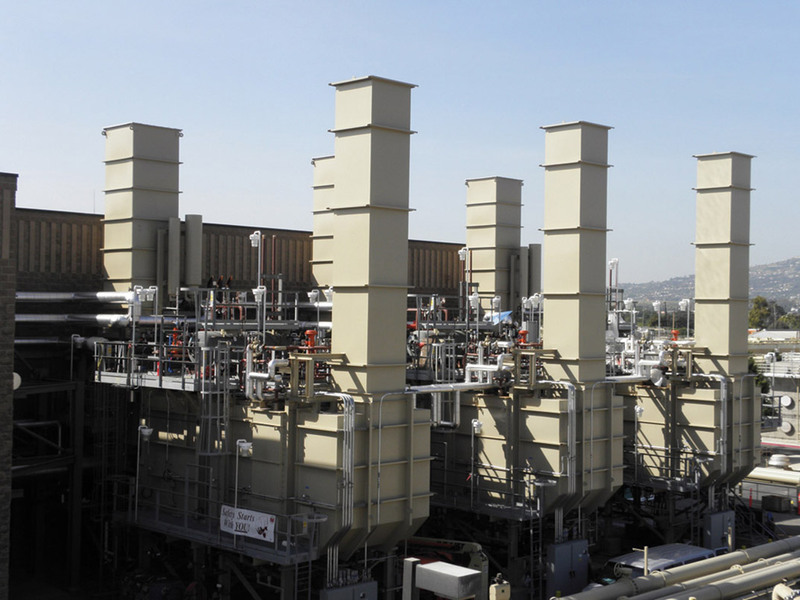 System: Facility consists of three 13,000 HP gas turbine generators, one steam turbine generator, three HRSG’s, two low pressure boilers, and supporting systems. The JWPCP is the largest of the Sanitation District’s plants and one of the largest wastewater treatment plants in the world. The Joint Water Pollution Control Plant (JWPCP) in Carson treats about 300 million gallons of wastewater every day and is one of the largest wastewater treatment plants in the country. It uses the biogas created during treatment to generate 20 MW of electricity. The electricity is used to power the JWPCP, making it energy self-sufficient. The plant sells any electricity it does not use to the local power company. Benefit: Cogeneration steam system was inoperable and start-up delayed due to equipment problems. CEI was selected to create optimizations and modifications to the existing cogeneration system and provide start-up services.